Guy Martin’s Spitfire (2014) – What's New on Netflix Canada Today! 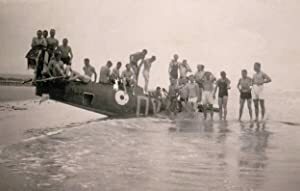 Guy Martin joins the two-year restoration of a Spitfire that was buried in a French beach for decades, and tells the Boy’s Own-style story of its pilot, Squadron Leader Geoffrey Stephenson. The TV personality and daredevil racer helps restore a British fighter plane that crashed during World War II and tells the true story of its pilot.